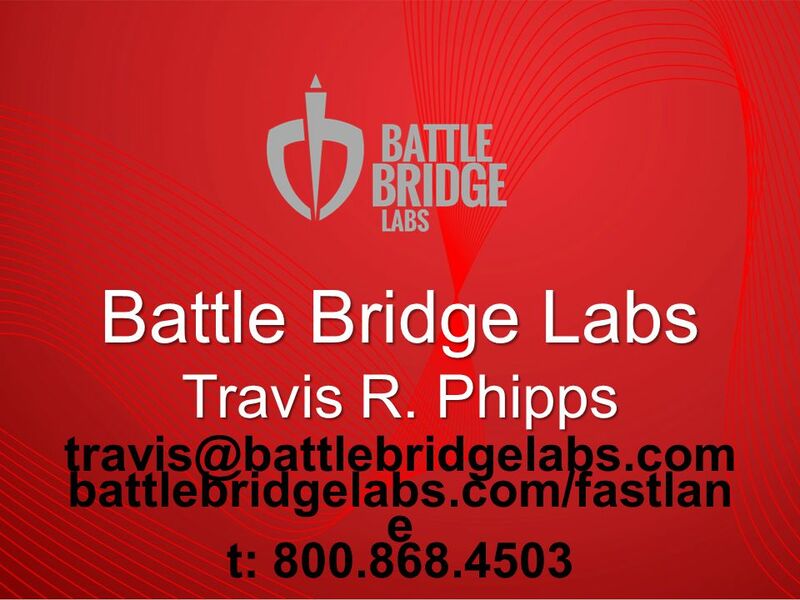 battlebridgelabs.com/fastlan e t: 800.868.4503 Battle Bridge Labs Travis R. Phipps. 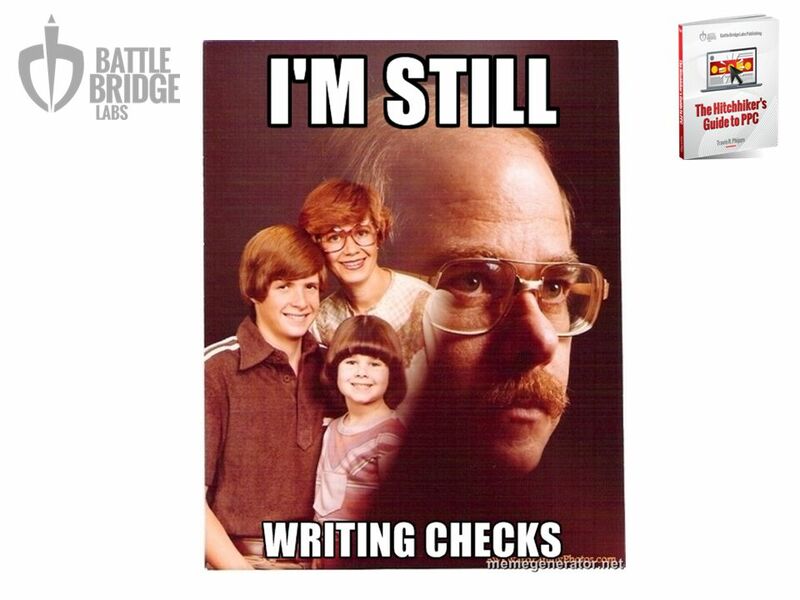 3  In meantime, built a successful PPC Agency. 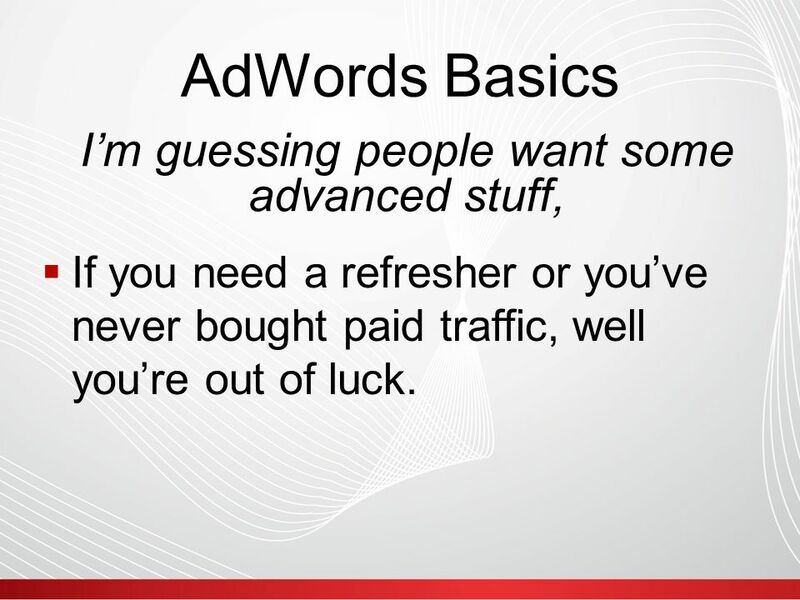  PPC/Paid Search is my vehicle.  Oversees the management of ½ million dollars in monthly ad spend, and generates millions of dollars for our clients every month. 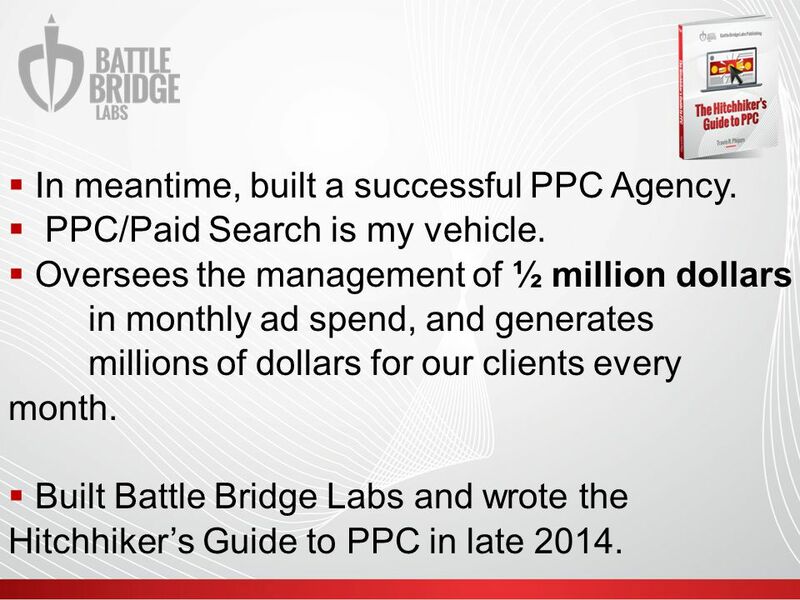  Built Battle Bridge Labs and wrote the Hitchhiker’s Guide to PPC in late 2014. 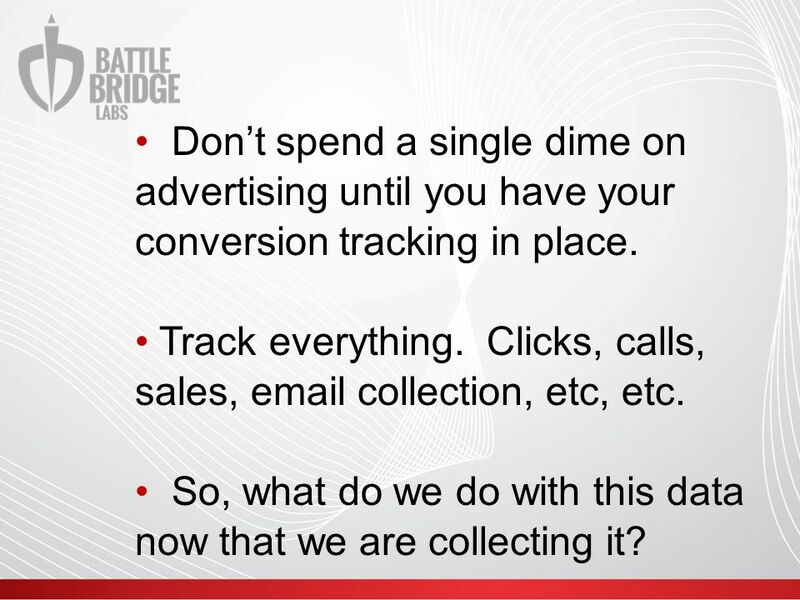 9 Don’t spend a single dime on advertising until you have your conversion tracking in place. Track everything. 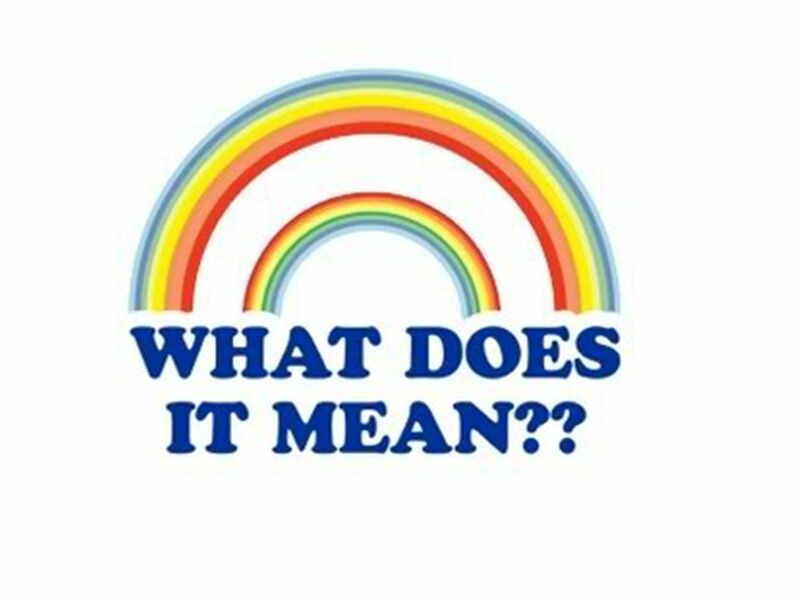 Clicks, calls, sales, email collection, etc, etc. 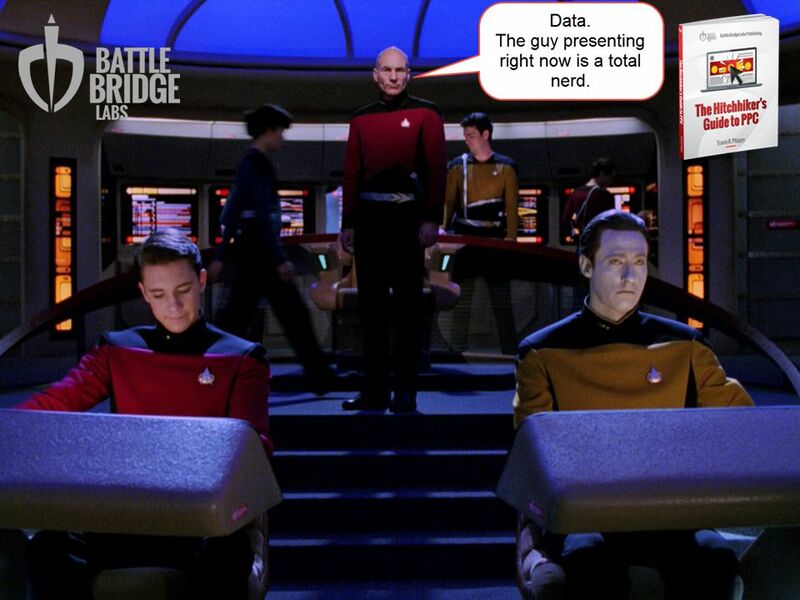 So, what do we do with this data now that we are collecting it? 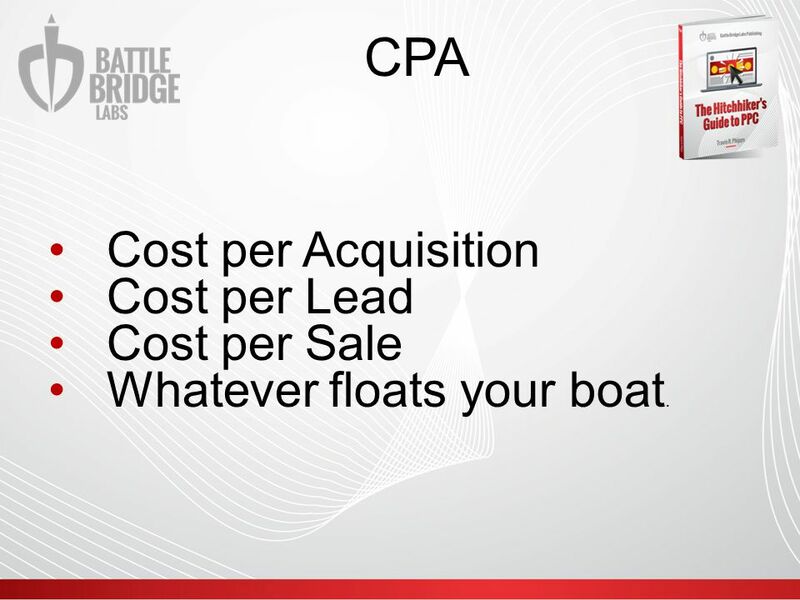 10 CPA Cost per Acquisition Cost per Lead Cost per Sale Whatever floats your boat. 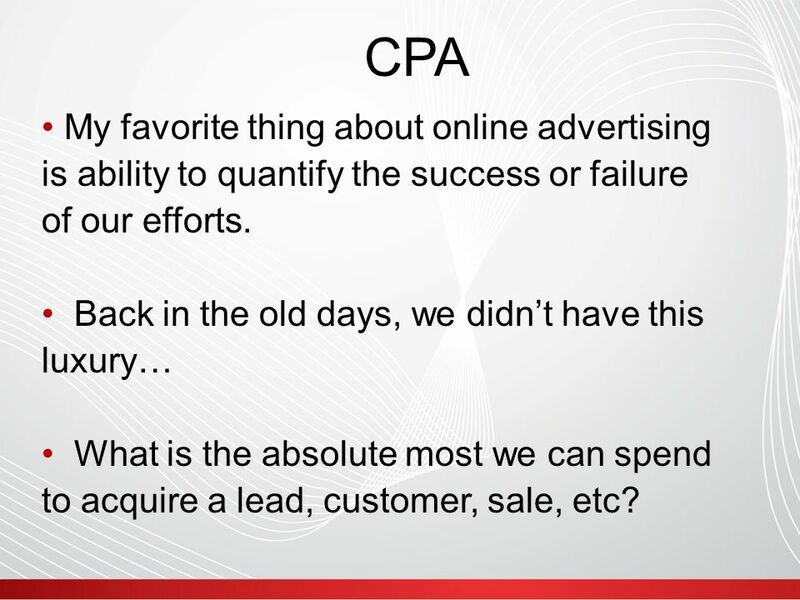 11 CPA My favorite thing about online advertising is ability to quantify the success or failure of our efforts. 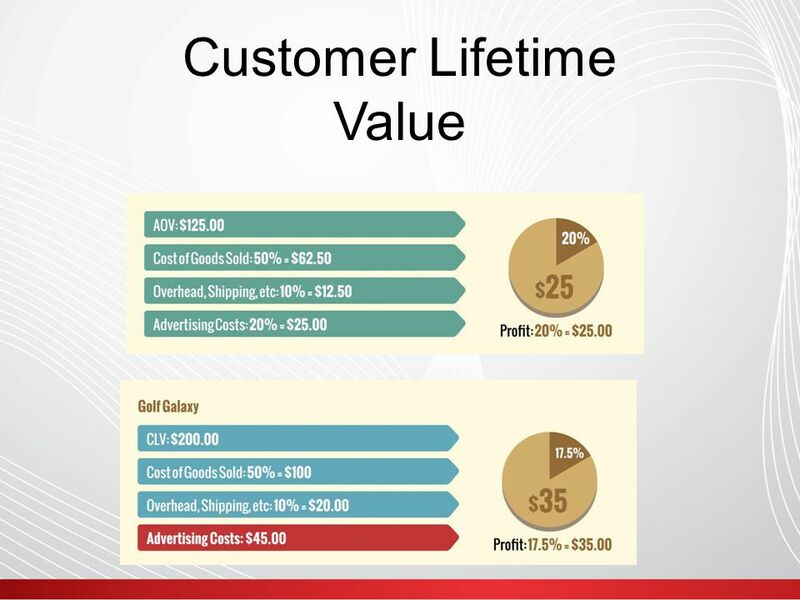 Back in the old days, we didn’t have this luxury… What is the absolute most we can spend to acquire a lead, customer, sale, etc? 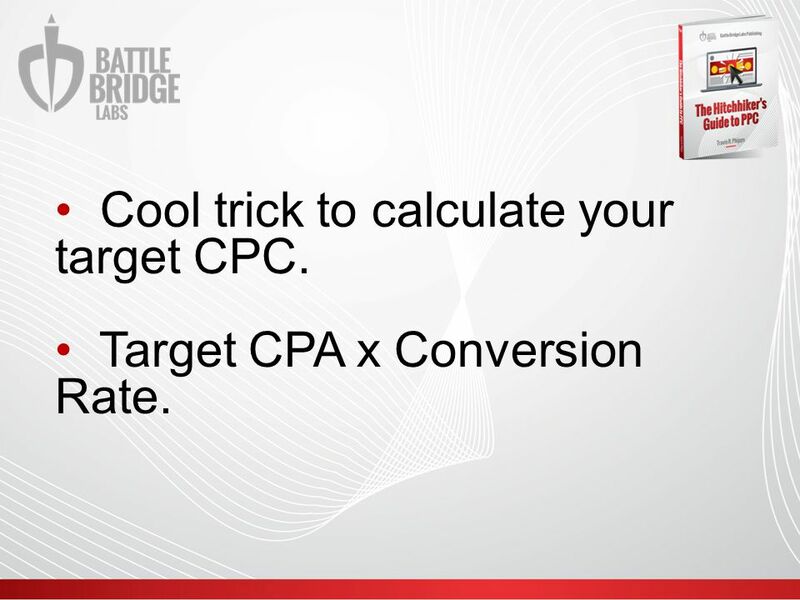 14 Cool trick to calculate your target CPC. 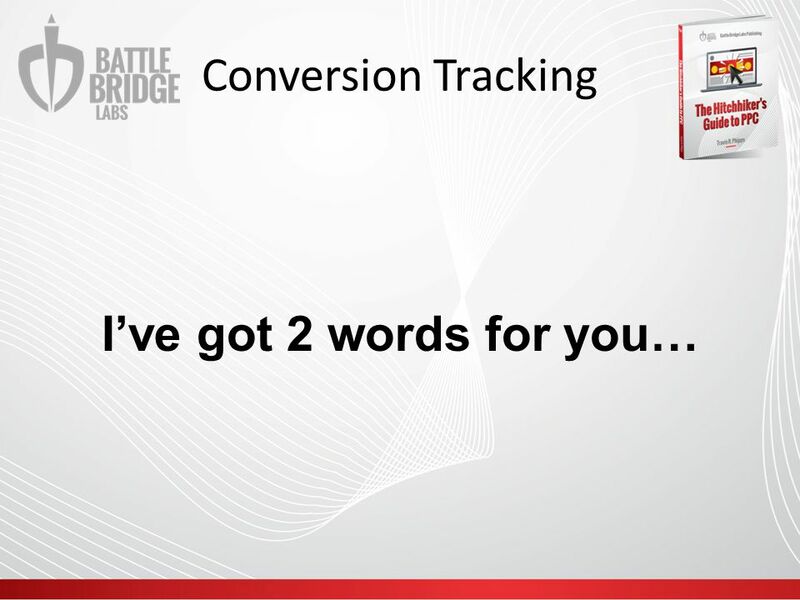 Target CPA x Conversion Rate. 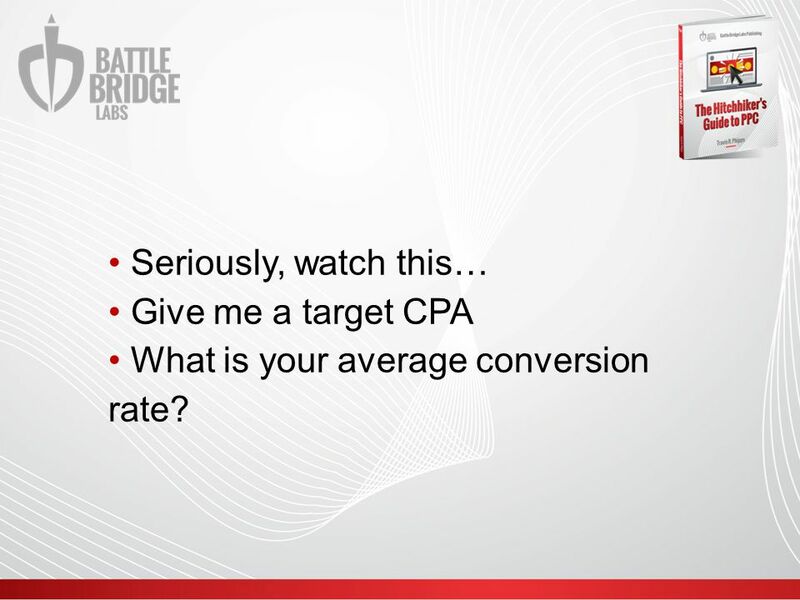 16 Seriously, watch this… Give me a target CPA What is your average conversion rate? 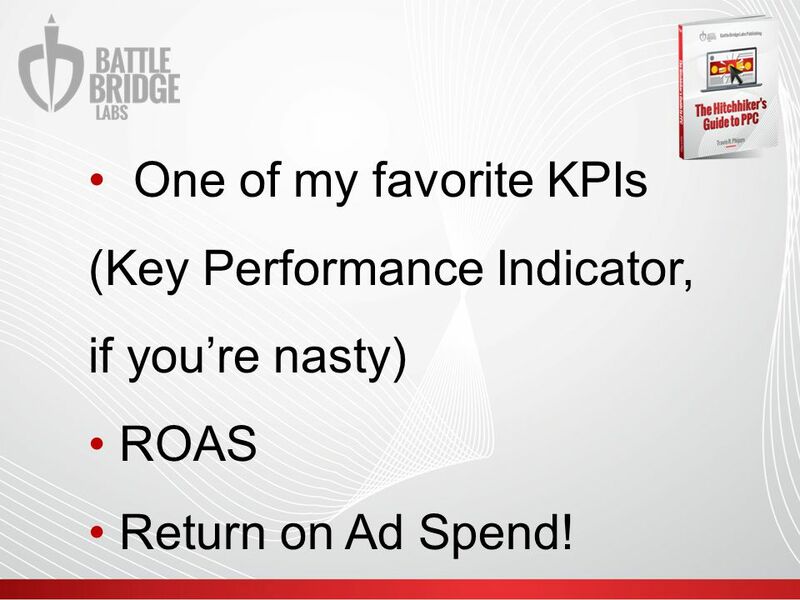 17 One of my favorite KPIs (Key Performance Indicator, if you’re nasty) ROAS Return on Ad Spend! 18 Let’s say you sell Golf Clubs and Golf Tees. 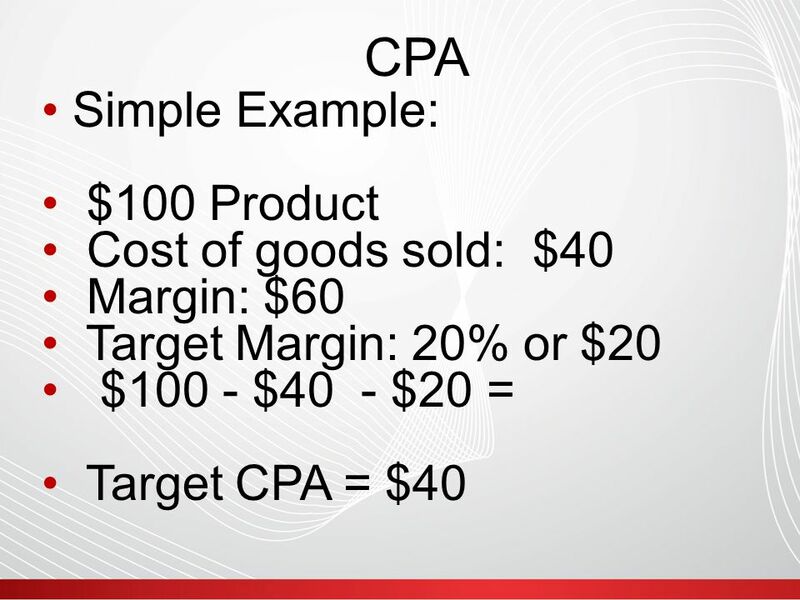 You probably don’t want to set you CPA at $300 to sell Golf Tees (well, you could…but that’s another story for another day). 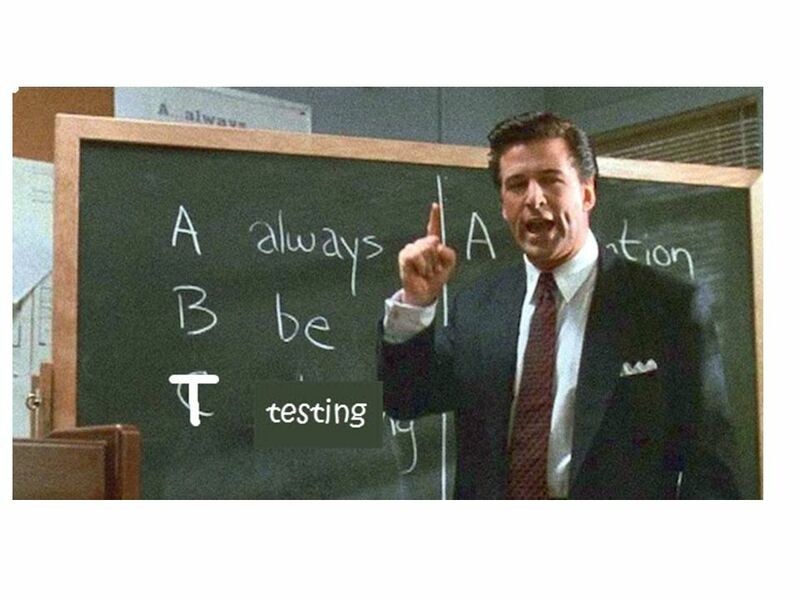 That is where ROAS comes in…we target a 5.0 (or 500%) ROAS. 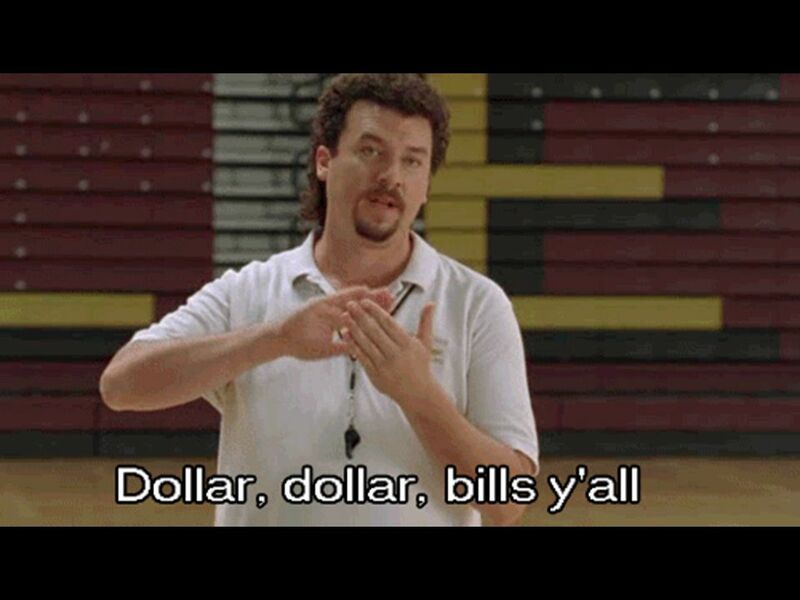 For every dollar we spend, we get 5 back in revenue. 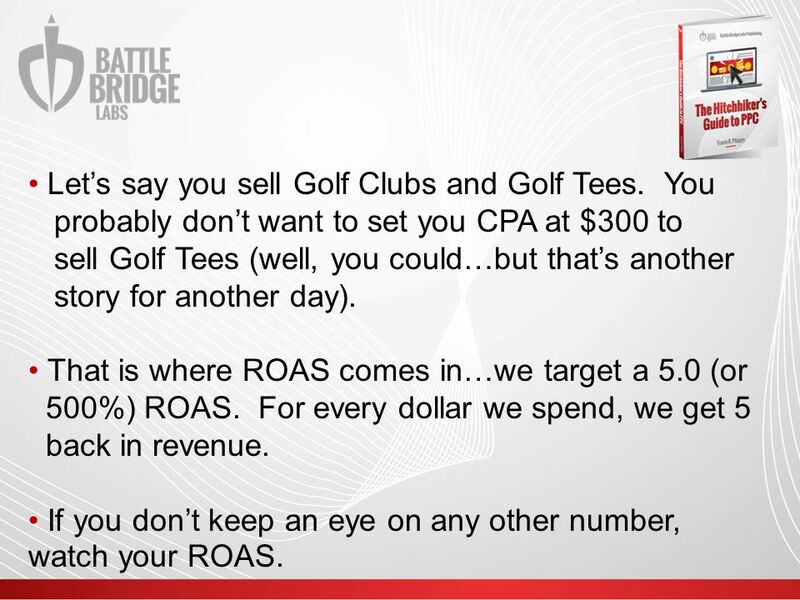 If you don’t keep an eye on any other number, watch your ROAS. 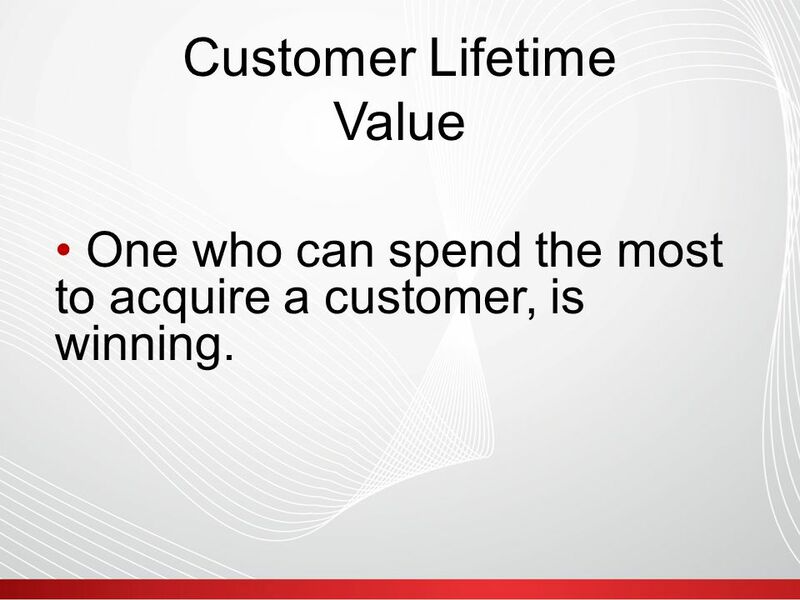 20 Customer Lifetime Value One who can spend the most to acquire a customer, is winning. 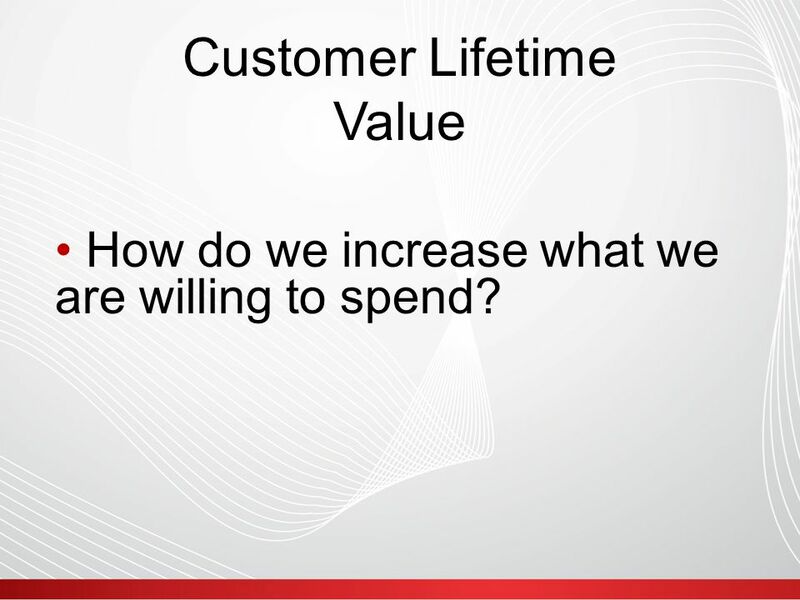 22 Customer Lifetime Value How do we increase what we are willing to spend? 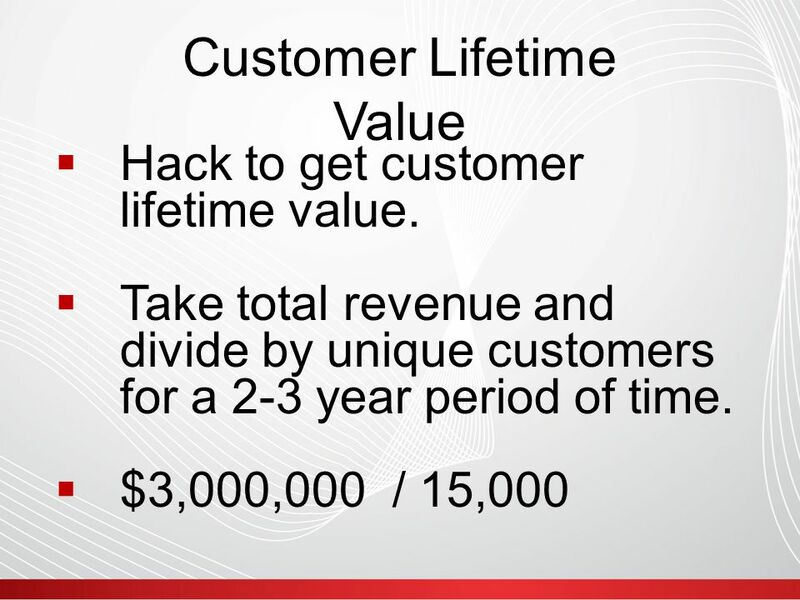 23 Customer Lifetime Value 1.Increase Average Order Value. 2.Decrease Overhead, costs, etc. 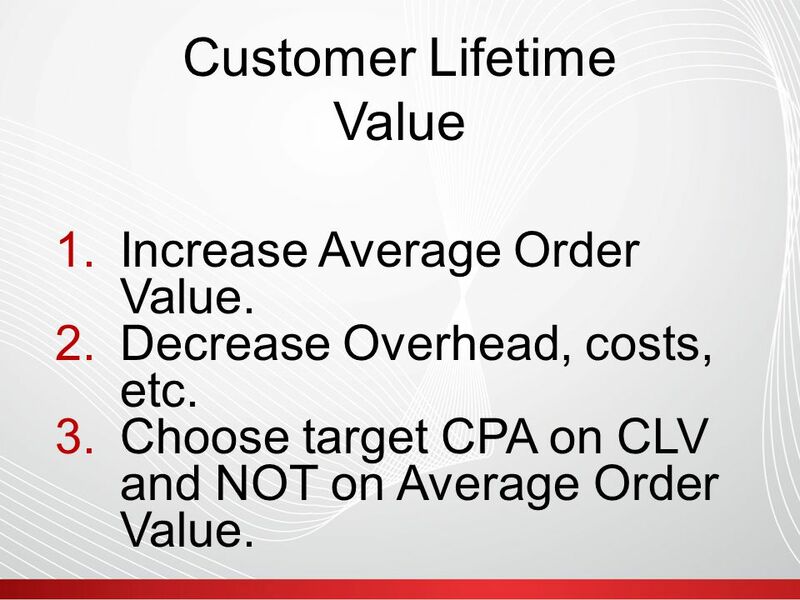 3.Choose target CPA on CLV and NOT on Average Order Value. 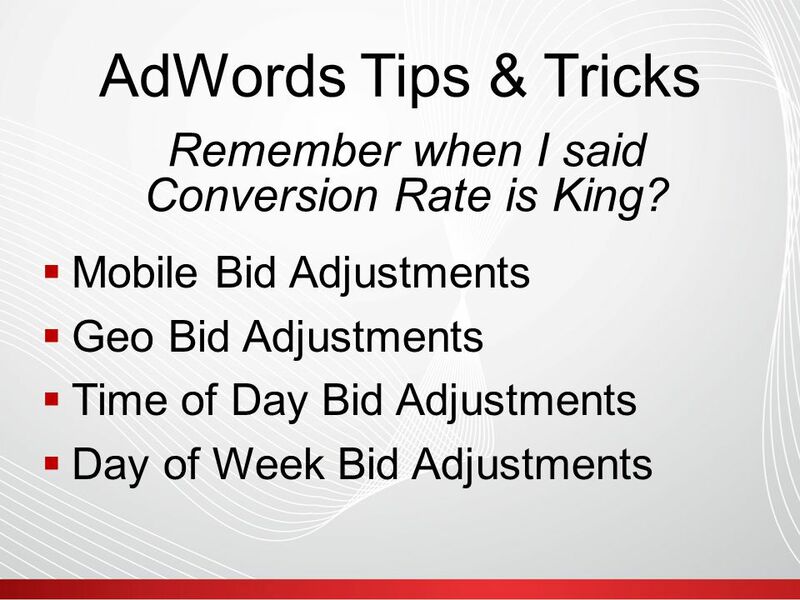 27 AdWords Tips & Tricks  Mobile Bid Adjustments  Geo Bid Adjustments  Time of Day Bid Adjustments  Day of Week Bid Adjustments Remember when I said Conversion Rate is King? 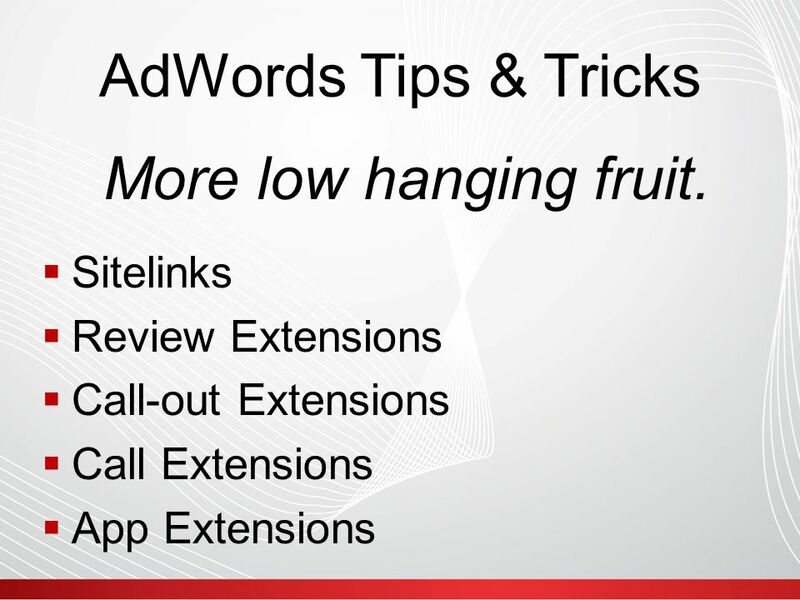 29 AdWords Tips & Tricks  Sitelinks  Review Extensions  Call-out Extensions  Call Extensions  App Extensions More low hanging fruit. 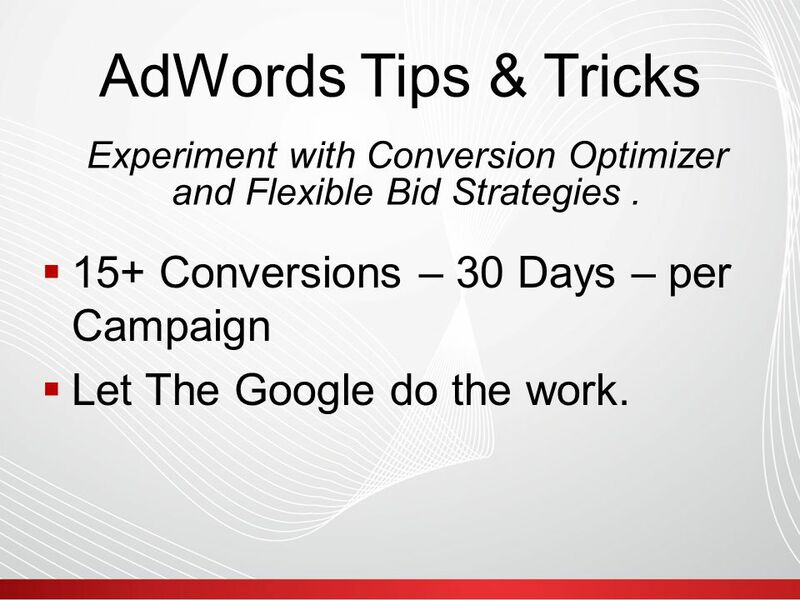 33 AdWords Tips & Tricks  15+ Conversions – 30 Days – per Campaign  Let The Google do the work. 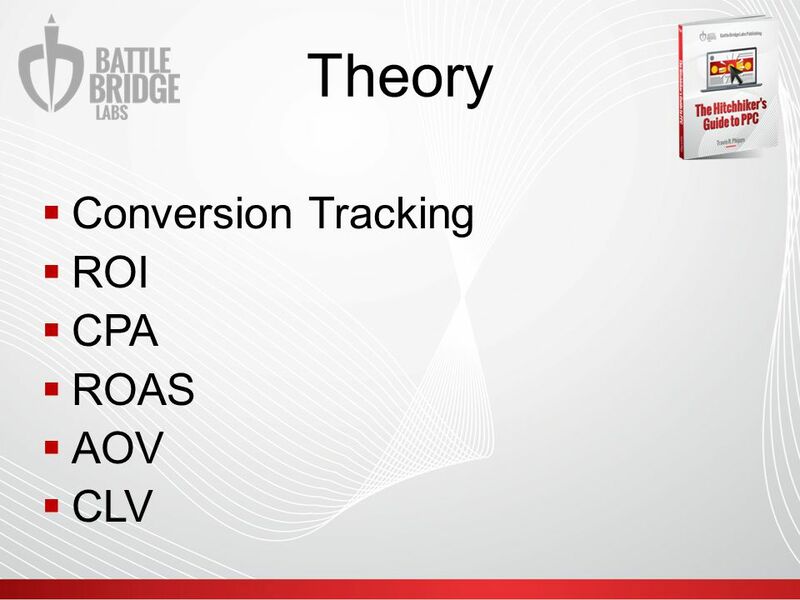 Experiment with Conversion Optimizer and Flexible Bid Strategies. 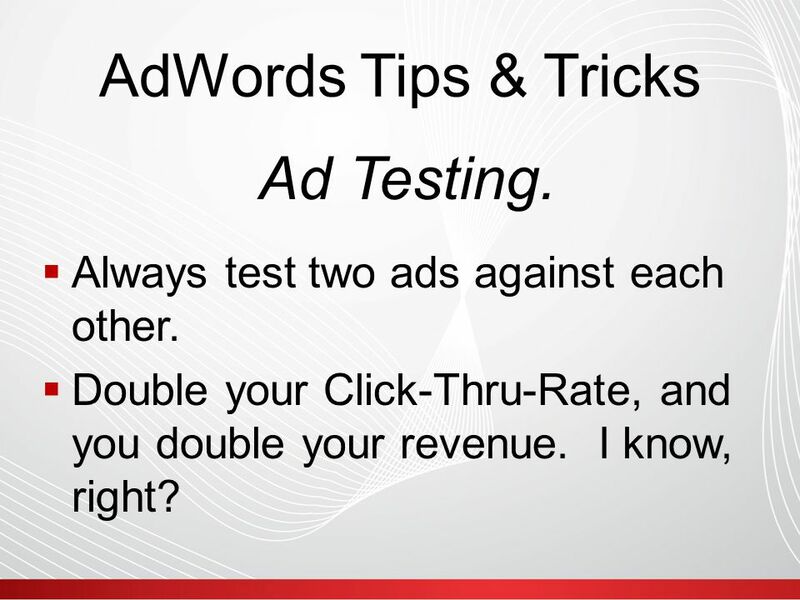 35 AdWords Tips & Tricks  Always test two ads against each other. 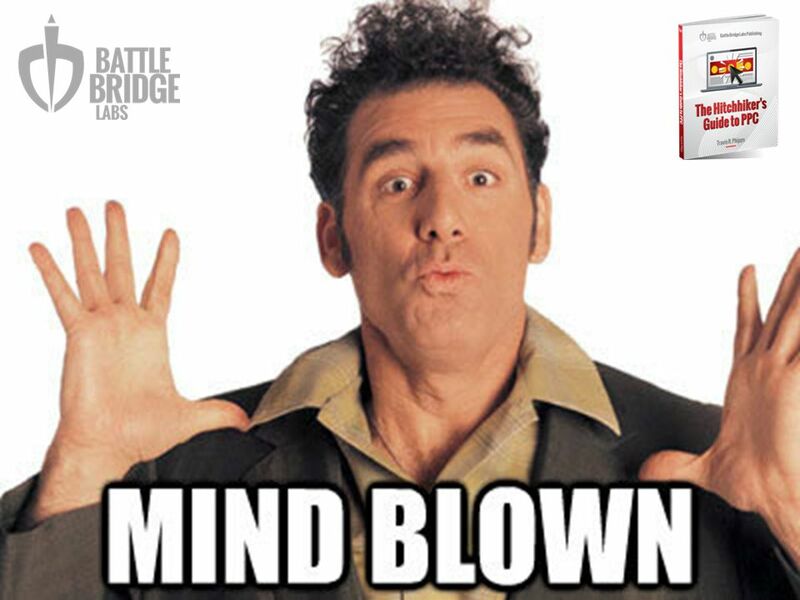  Double your Click-Thru-Rate, and you double your revenue. I know, right? 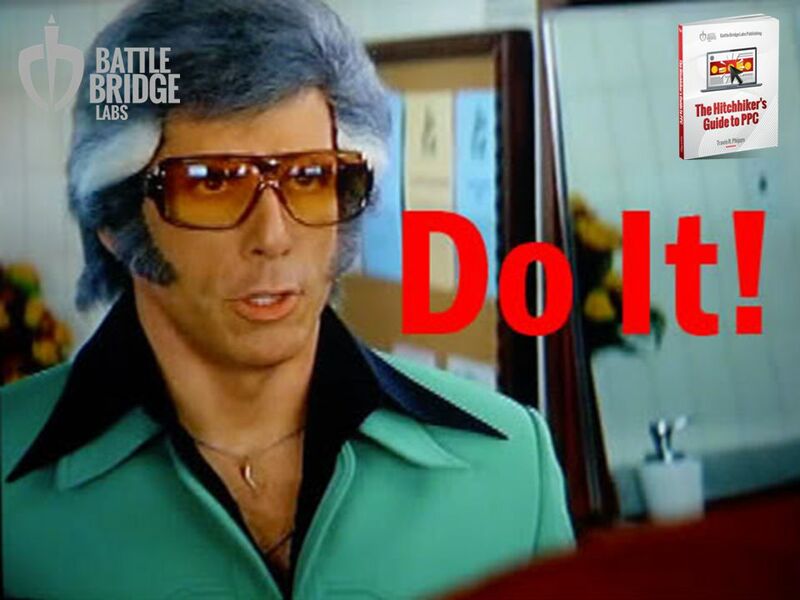 Ad Testing. 41 Facebook  I’m loving Facebook traffic. 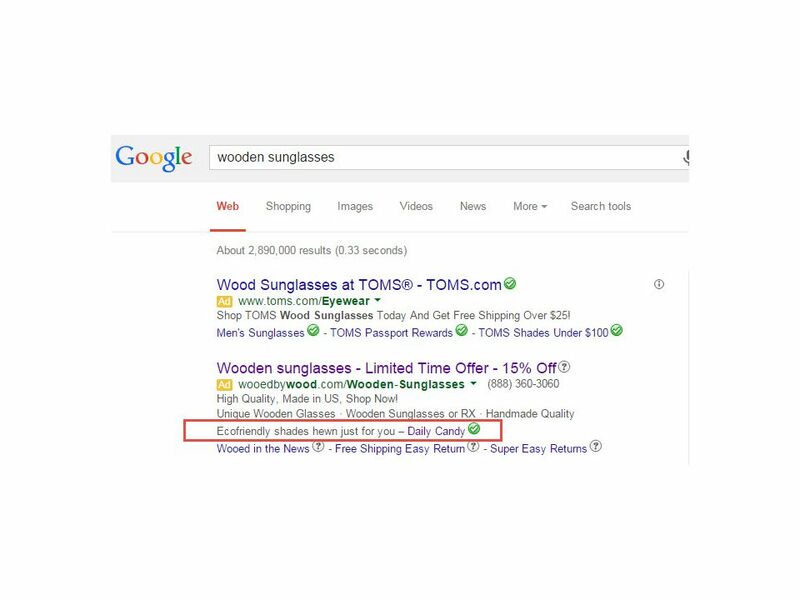  Remarketing, Targeting is ridiculous. Look-a- like-Audiences. 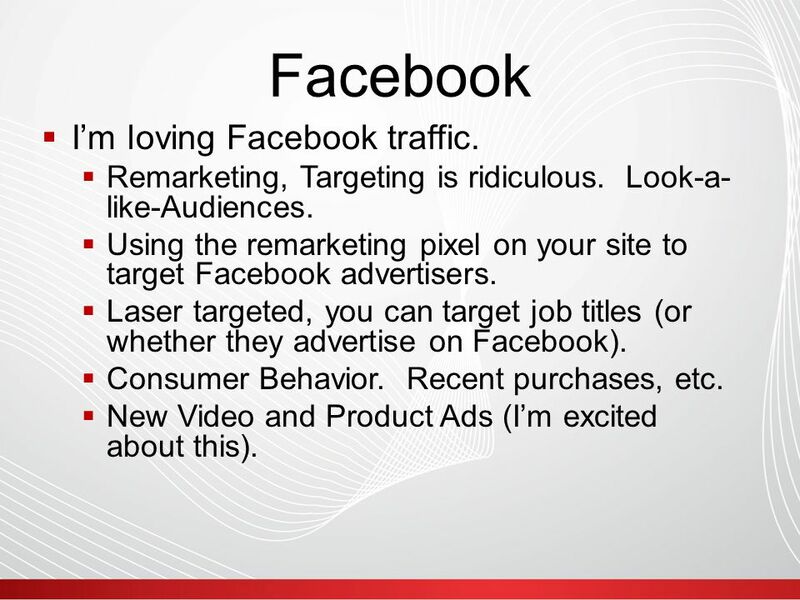  Using the remarketing pixel on your site to target Facebook advertisers. 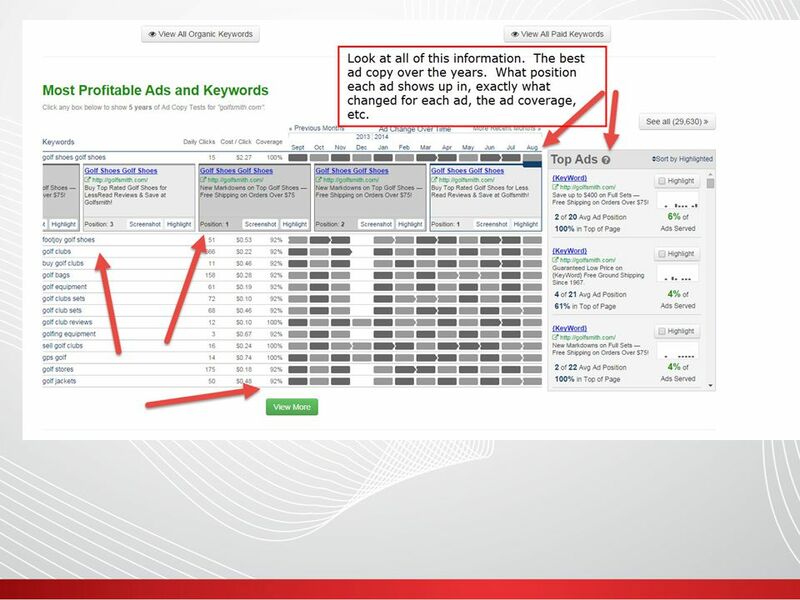  Laser targeted, you can target job titles (or whether they advertise on Facebook).  Consumer Behavior. Recent purchases, etc. 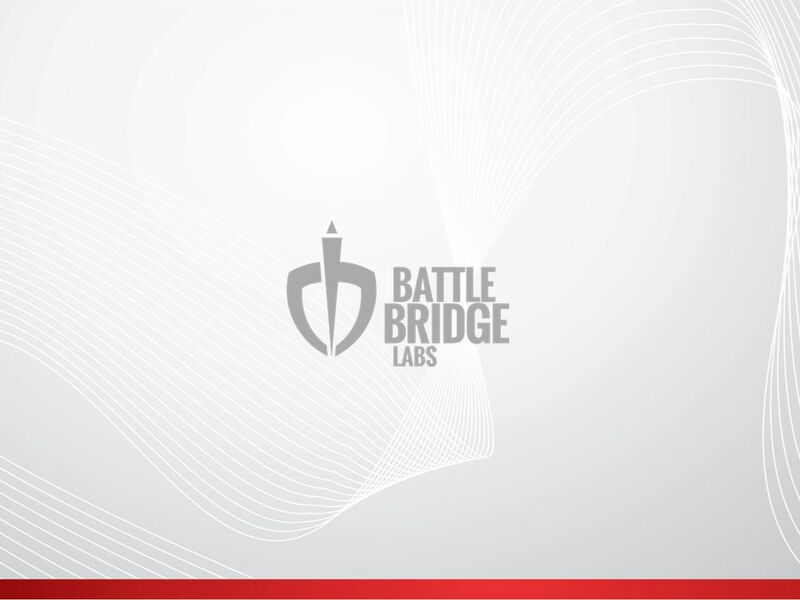  New Video and Product Ads (I’m excited about this). 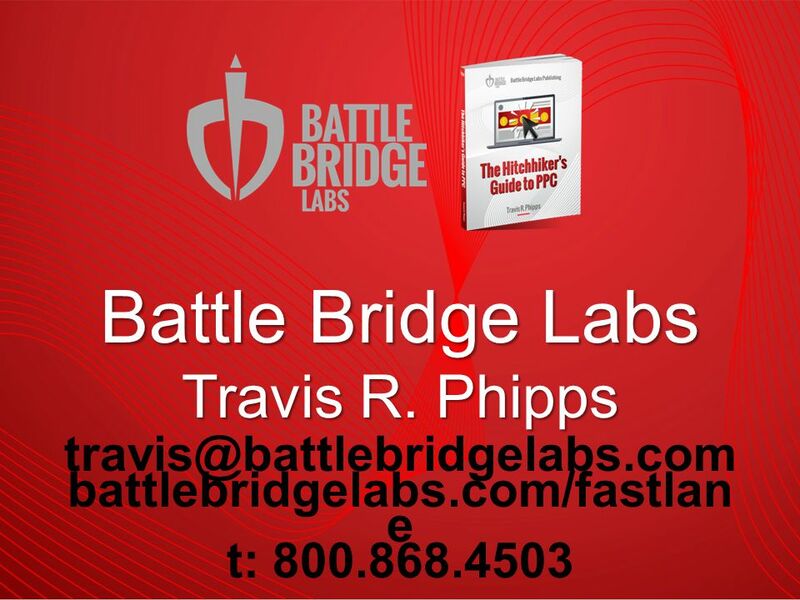 Download ppt "battlebridgelabs.com/fastlan e t: 800.868.4503 Battle Bridge Labs Travis R. 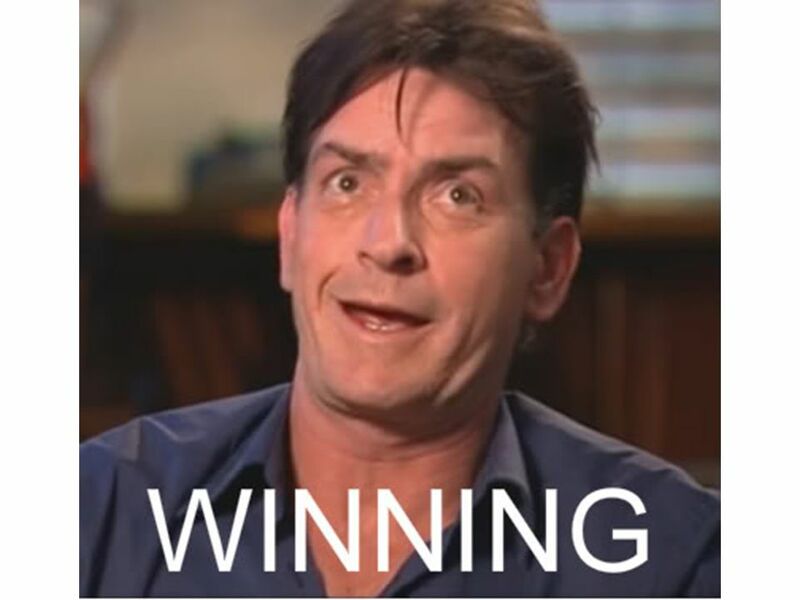 Phipps." 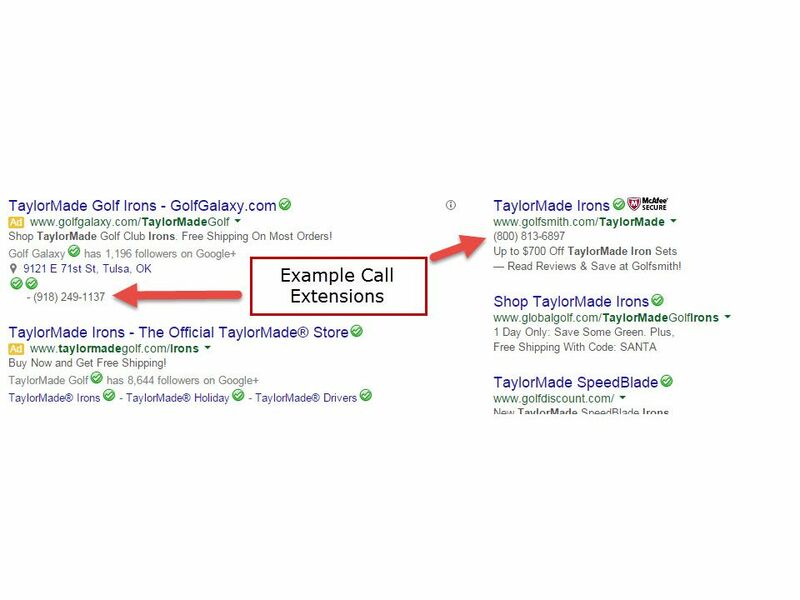 Reach people on mobile.Mobile Search Ads Reach people with Mobile Search Ads. 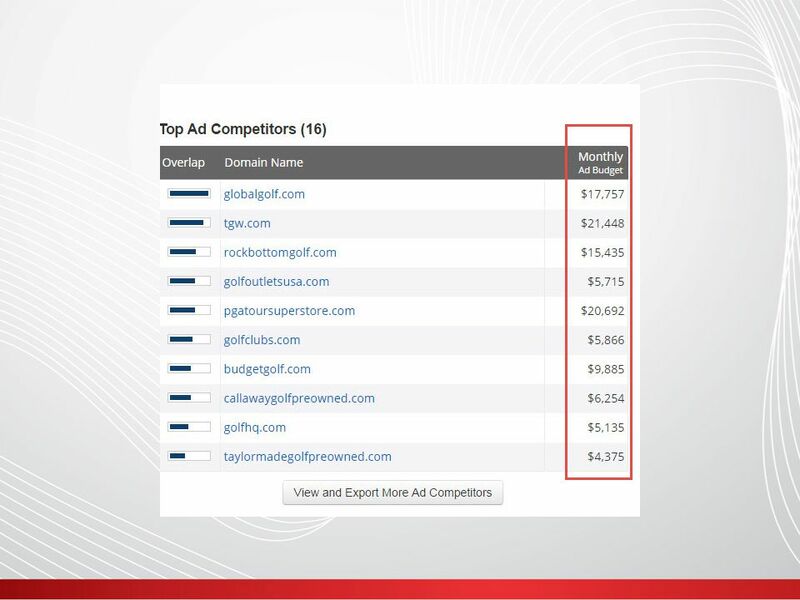 ■ Google’s Ad Distribution Network ■ Primary Benefits of AdWords ■ Online Advertising Stats and Trends ■ Appendix: Basic AdWords Features ■ Introduction. 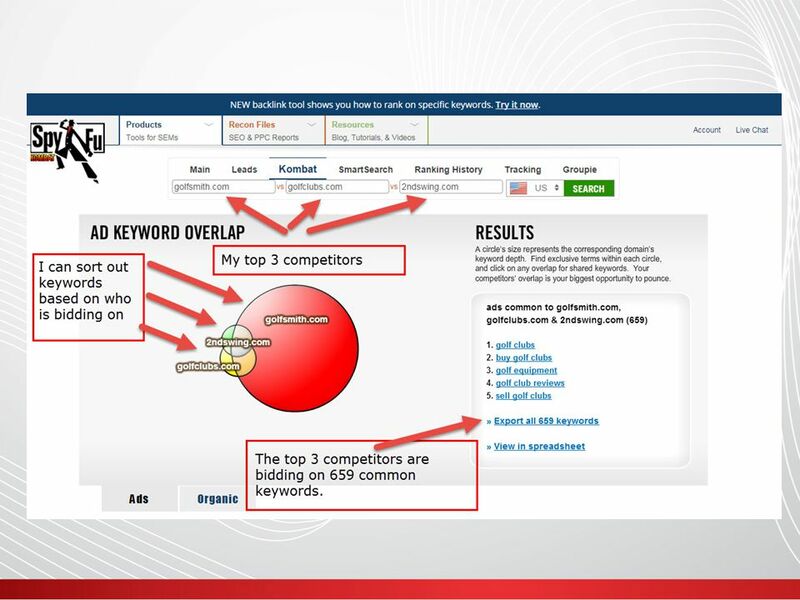 KPI’s Search Engine Marketing Chapter 2 Instructor: Dawn Rauscher. 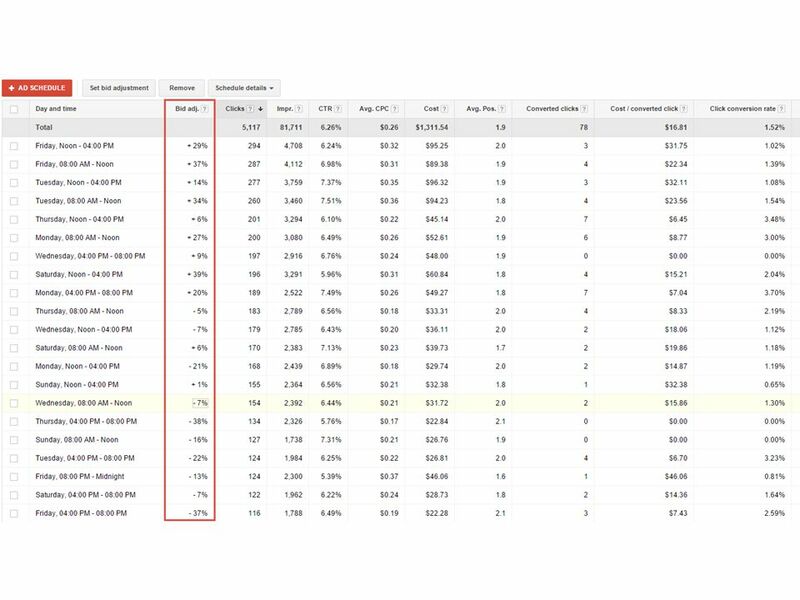 Google Adwords 2 nd October Contents Why Adwords? 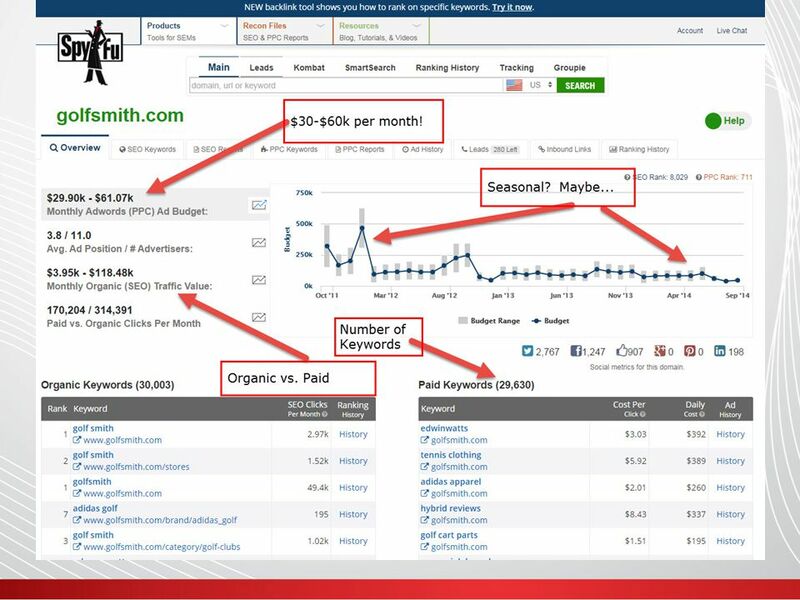 Budgeting Keywords & Adverts Measurement Google Grant. 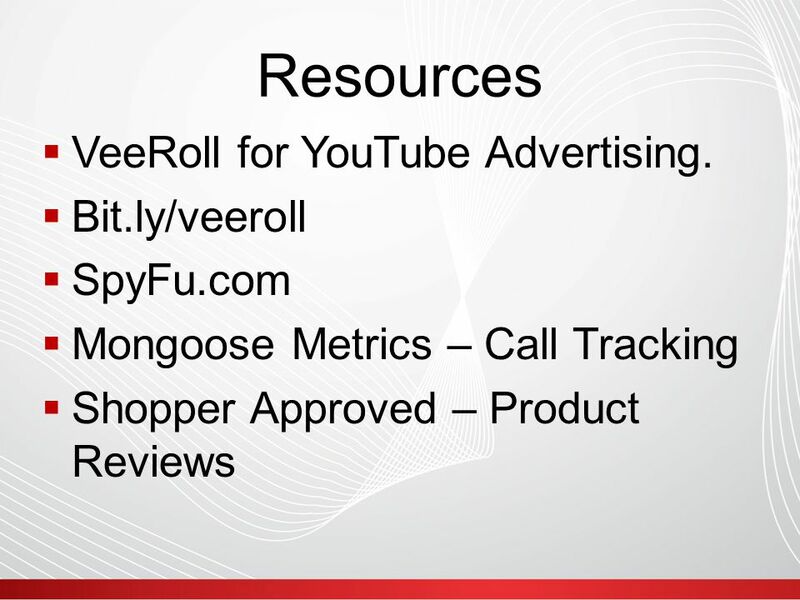 Metrics, Metrics, Metrics (and tips) 2014 JobG8 Josh Gampel President Recruitics June 11, 2014. 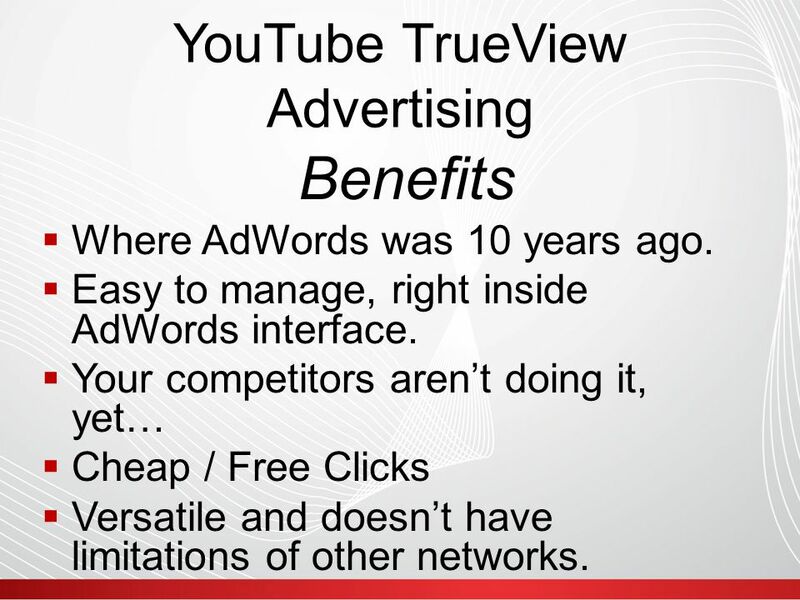 Reach a larger audience online.Google AdWords for Video Google AdWords for Video with TrueView. Pay for the people you want. 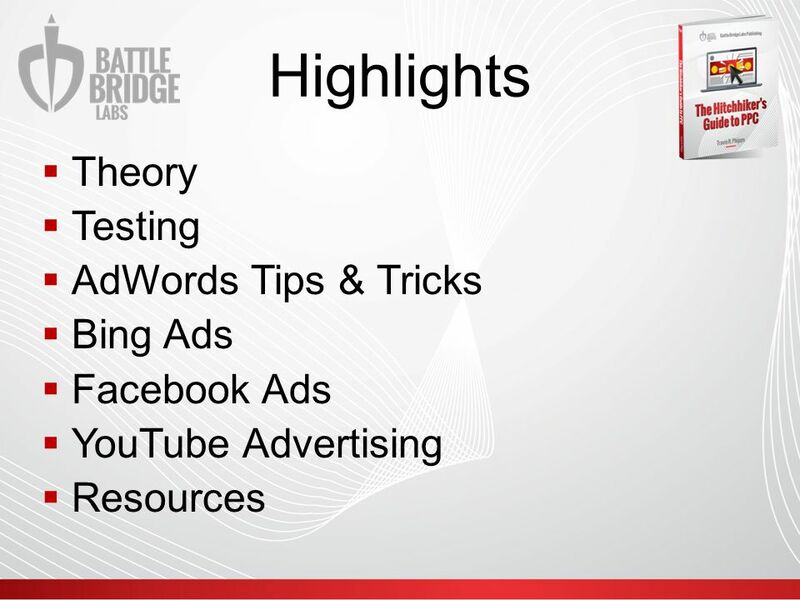 Integrated Marketing Search Engine Marketing Chapter 1 Instructor: Dawn Rauscher. Jennifer Ford.  Blog – A type of website or online journal that allows you to publish articles and updates that visitors. 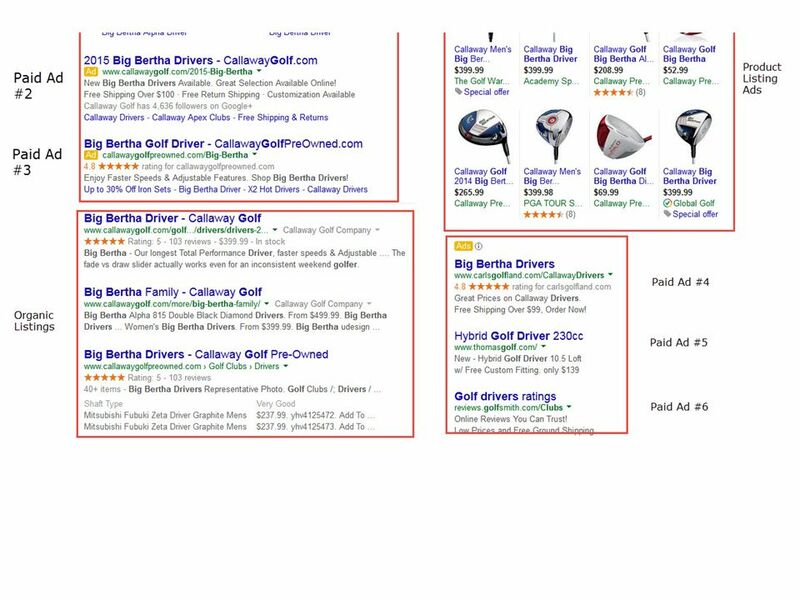 Welcome to advertising on Bing and Yahoo! 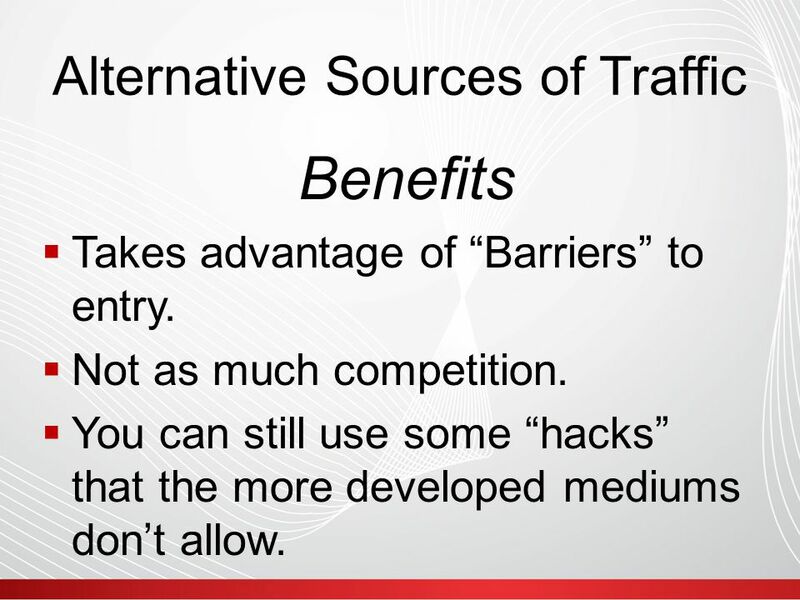 Search Webinar 1. 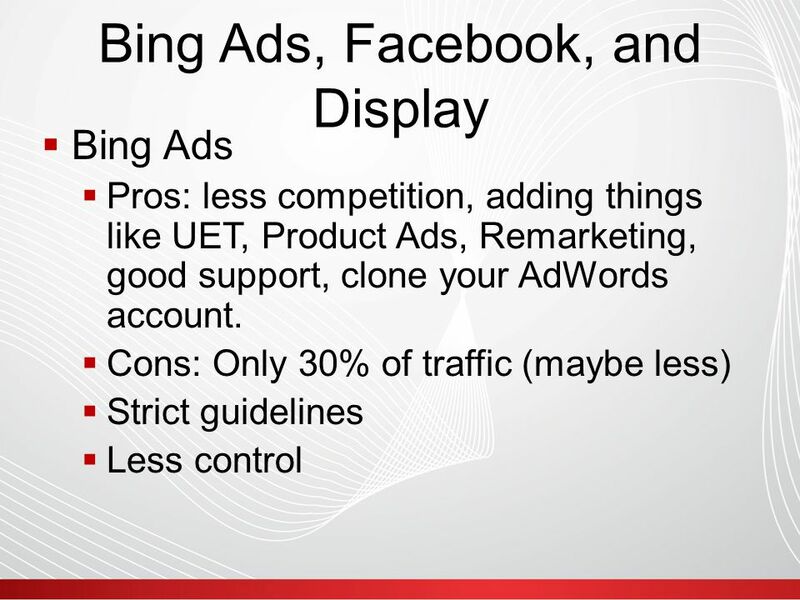 Welcome to advertising on Bing Webinar 1. 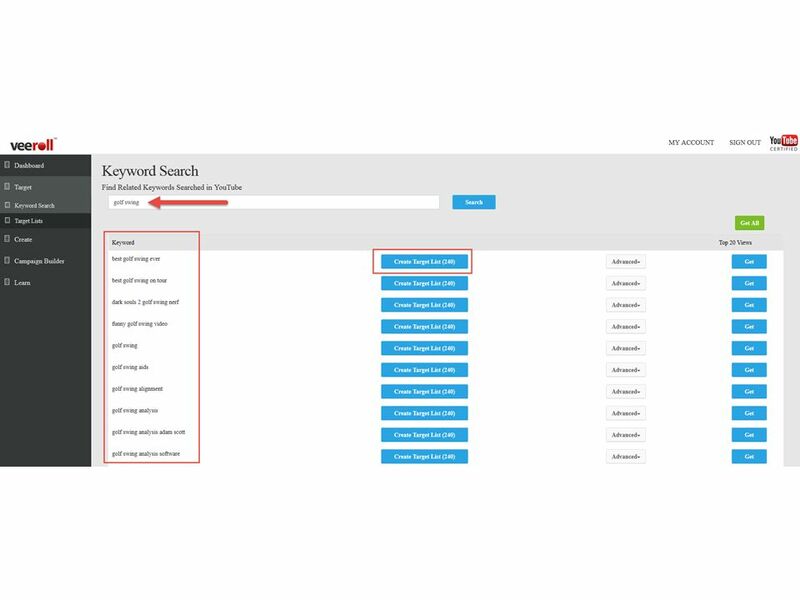 Microsoft Advertising adCenter: Intro to Search Advertising Basics. We look forward to helping you expand your.